Rydo came to us to create a brand story that would get them on the road. lcdc.co needed to re-imagine the brand all the way from the logo through to the marketing strategy. Having access to over 15,000 taxis makes for a compelling argument. 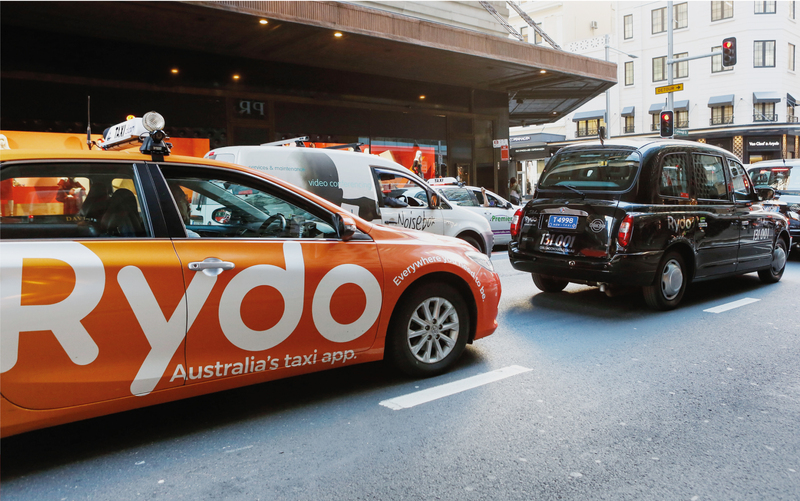 With over 400 million rides annually, the taxi industry is still Australia’s most used point to point form of transport. 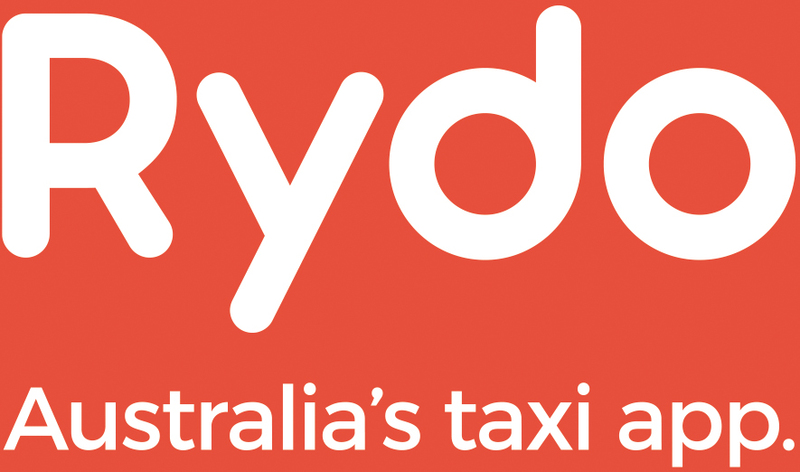 With a unique set of technologies, Rydo is bringing the convenience and safety of taxis and hire cars to consumers in a simple effective app. 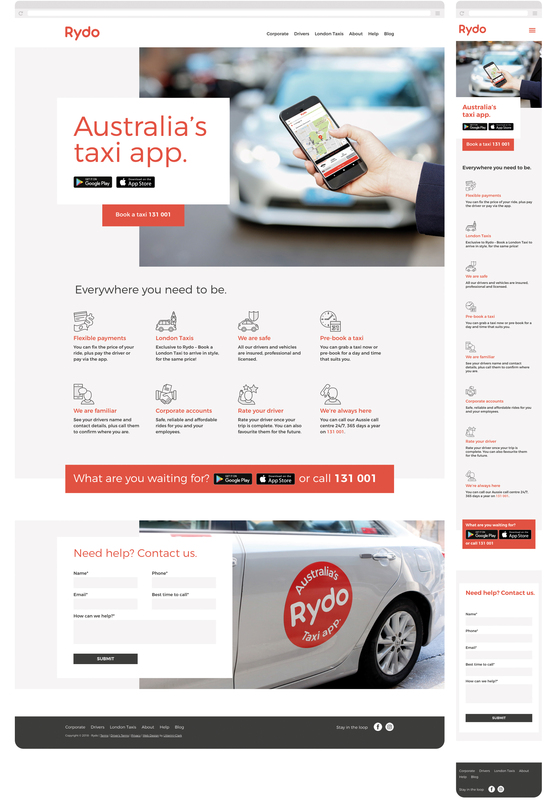 We created a strategy that engages users and drives app downloads by telling Rydo’s genuine story. We built the brand story and set up communication pathways through which we engage consumers. We have worked closely with Rydo across all aspects of their business, from reviewing and updating the app UX, to the design and development of their website. 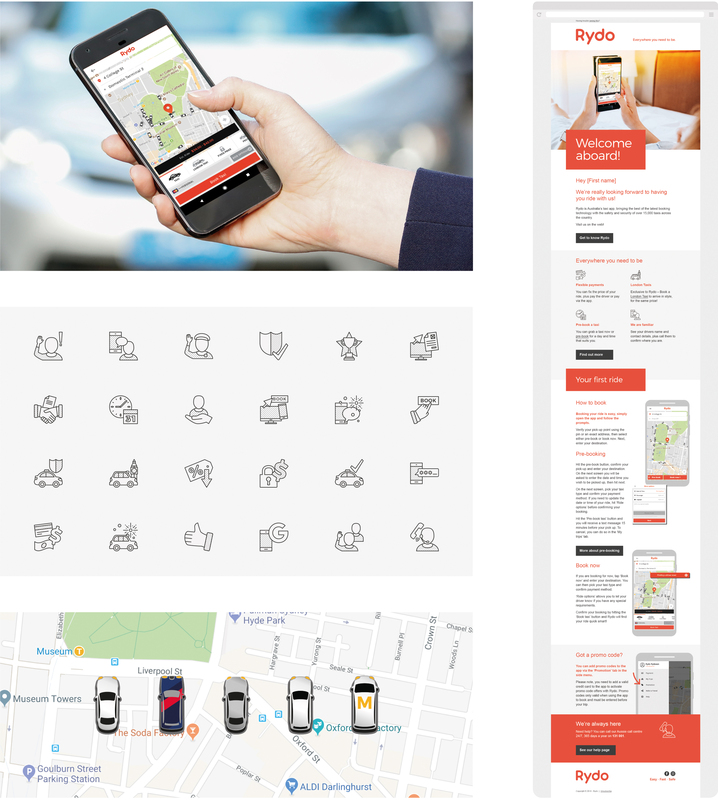 lcdc.co also developed and maintained their brand through social media management and marketing. “When it comes to marketing lcdc.co did everything for us. They built our brand, website and digital marketing which gave us time to concentrate on what we do best. They have enabled me, coached me and given me the confidence to share Rydo’s story.